Stroman is a great guy for WPW. He takes so many locker shots of all his Nike/Jordan swag and posts it straight to his Instagram. 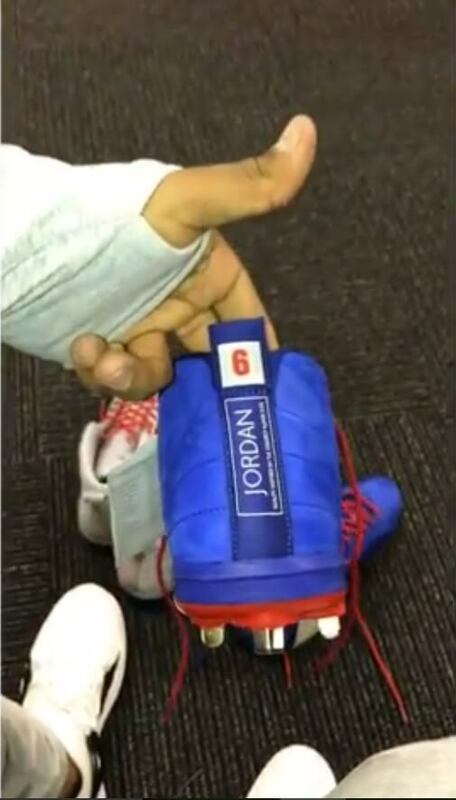 That being said, these Jordan colorways are absolutely fresh. 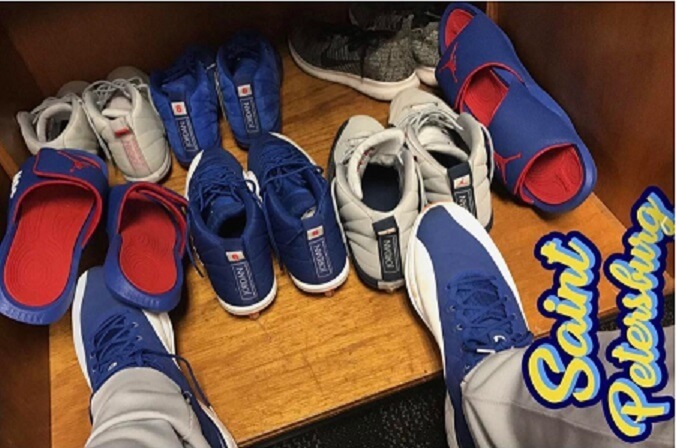 The back two pairs are kinda in the back in the shadow, but you can see them up close and personal in a “review” of the cleats that Stroman posted here. You can shop the 12’s at the link. Categories: Marcus Stroman, Gear, Cleats, Toronto Blue Jays, Pitcher.